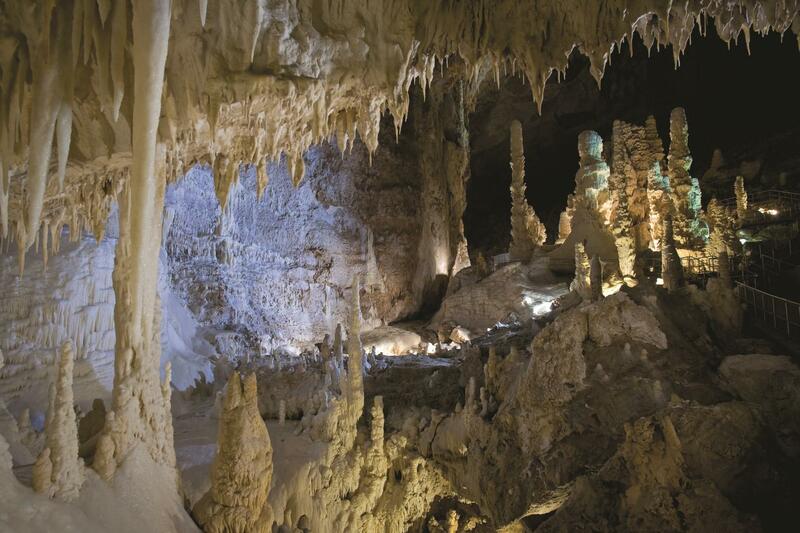 The caves, discovered by a group of Ancona speleologists in 1971, are situated 7 kilometres (4 miles) south of Genga, near the civil parish of San Vittore and the Genga-San Vittore railway station (Rome-Ancona line). Near the entrance to the caves are two sanctuary-chapels: one is the 1029 Santuario di Santa Maria infra Saxa (Sanctuary of Holy Mary under the Rock) and the second is an 1828 Neoclassical architecture formal temple, known as Tempietto del Valadier. Grotta delle Nottole, or “Cave of the Bats”, named for the large colony of bats that lives within. Grotta Grande del Vento, or “Great Cave of the Wind,” discovered in 1971, with approximately 13 kilometres (8.1 mi) of passageways. Sala delle Candeline, or “Room of the Candles,” named for its plentiful stalagmites that resemble candles. Sala dell’Infinito, or “Room of the Infinite,” a tall chamber with massive speleothem columns supporting the roof. 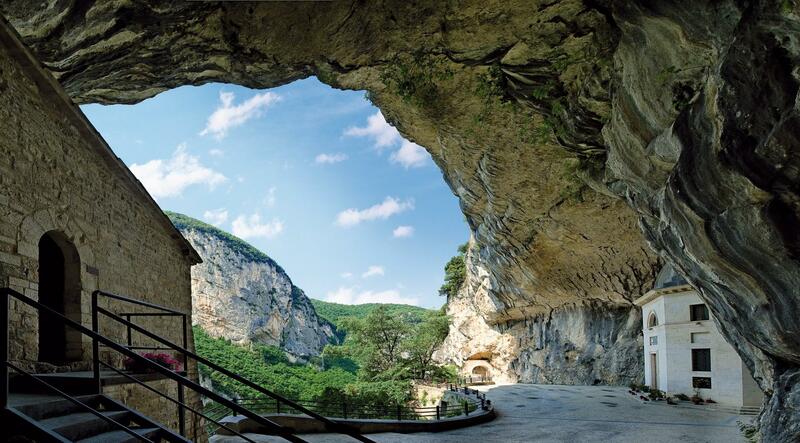 A classic itinerary, after the visit of Frasassi caves is the Apennine foothills, ideal for those who don’t like to waste too much time moving about. The suggested tour begins at Fabriano, which conserves its original medieval layout. The city is built around the almost triangular Piazza del Comune, which is overlooked by the most important buildings. It is dominated by the austere mid-13th Century Palazzo del Podestà, built in romanesque-gothic style, with its Ghibelline crenellation.